„The Godfather“ of urban vinyl toys. That’s what they call Hong Kong based artist Michael Lau. 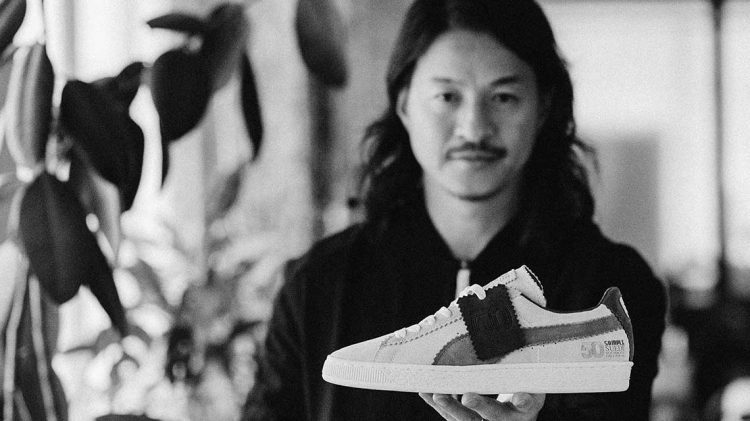 World-renowned for his collectible designer toy figures and graffiti-style illustrations, Lau now teams up with PUMA for his collaboration with the German sports brand. Translating his brilliant technique to the Suede, this special release is one of many editions of the iconic sneaker, year marking it’s 50th anniversary. With an unbroken joy in drawing ever since he was a child, Michael Lau had his breakthrough at the end of last’s century. “It was when I started putting out figures when the public considered me as a real artist. This was around 1999. 1999 – 2000 was probably when it all started coming together,” Lau remembers. Listening closely to Lau’s words, it soon becomes clear that this collaboration was meant to be. “My connection to the PUMA Suede is that I am from that generation. It’s celebrating its 50th anniversary and that means we are all around the same age“. His design approach is as creative and unique as his renowned artworks of the past, truly fitting the Suede with a one-of-a-kind silhouette. 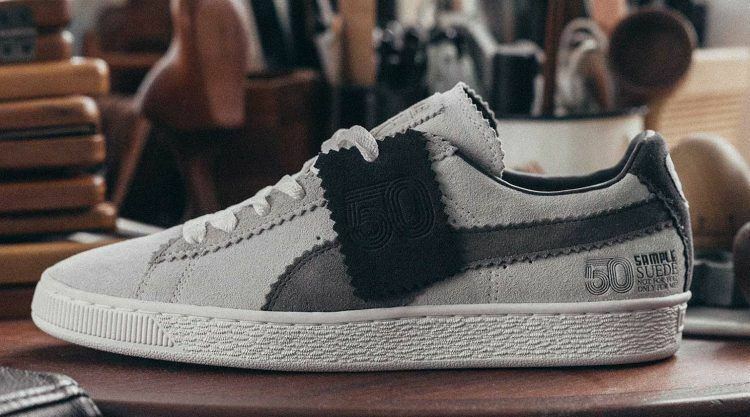 The PUMA x Michael Lau “Sample Suede” is not one for the masses and surely an eye catcher, taking its inspiration from the sample sneakers that brands produce as a model for production or to send to sports icons for final testing. 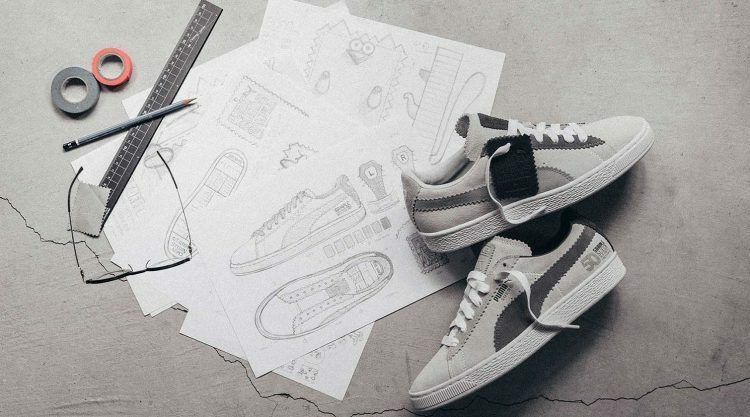 “A lot of the times when I come up with a sneaker design, it’s not going to be for everyone. I rather think of them as products that are for collecting. I guess that is because I approach it like artwork,” Lau muses. You definitely cannot oversee the passion that has gone into the design process. Work-in-progress details like various carefully selected shades of grey, the zig-zag finishing of the fabric sample along the Formstripe, lacing and tongue, give the “Sample Suede” that prototypical look. However, Lau’s not done yet and has more in store for sneaker heads and fans of the leaping cat with his add-on creation “Worth Cat”. This limited edition autographed figurine takes its inspiration from the shape of the sample tag and PUMA’s iconic cat. Each figure represents one of the seven shades used on the sneaker and bears different expressions. It’s classic like me now. It was right there from when I was young, and was prevalent in the early formation of youth and street culture, and is still around. I’d say that makes the Suede pretty classic.